This statistic shows the public opinion on the job done by U.S. Congress from March 2018 to March 2019. The survey is repeated monthly among American citizens. 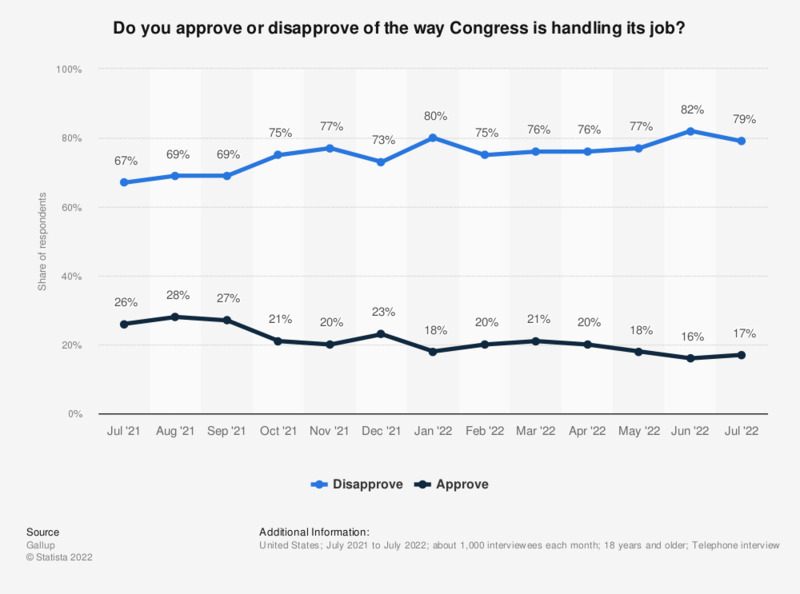 In March 2019, about 26 percent of the U.S. population approved of the way the Congress was handling its job. The missing percentage points to 100 percent are due to respondents who stated they had no opinion on the topic.